The Sangean PR-D15 is an upgrade to the PR-D5 which made some waves a while back with its unexpectedly excellent AM performance. In fact, when I reviewed the PR-D5 (read PR-D5 Review here) I was surprised at how good its AM reception was, especially for a radio that looks more like a shower radio than anything else. My only real complaint was its audio quality which was rather muffled and limited in range, and the FM was somewhat less selective than many current radios. Still, it’s AM performance was astonishingly good. Now comes the improved PR-D15 which adds Bass and Treble controls and a Loudness defeat function, 1KHz tuning steps on AM (a welcome addition for fine tuning), plus a real carrying handle. It also now features built-in battery charging and a few more new features. But how does it perform, and how does it compare with the original PR-D5? The answer is that it is overall a very good radio but it still offers rather pedestrian audio. I’ll say this: If you liked the PR-D5 you will like the PR-D15 even more. If you couldn’t get used to the PR-D5’s limited audio bandwidth, the PR-D15 still is not likely to please you. Overall they are more similar sounding than different. The PR-D15 is loaded with all the now-standard digital features of memories, a clock and snooze functions etc. It features the same great AM performance as the original PR-D5 which is to say, it doesn’t get much better than this, although there is now some lightly-implemented soft-muting which is generally undesirable. It’s AM reception is very sensitive, relatively selective and seems to suffer from no digital birdies which often plague modern radios. In fact, it’s AM reception is very close to the C. Crane CC-2E. Occasionally the CC maintained full volume on some weaker signals while the Sangean needed a bit of volume boost, and a few signals sounded slightly clearer and stronger on the CC but really I had to scan the whole band to find these few signals…for most people their AM reception will be too close to notice any difference. Generally their AM selectivity was pretty close too…again the C-2E seemed just a hair better on a few signals but they were close. Interestingly I have read a few on-line comments from people who say their PR-D15’s are not as sensitive as the original PR-D5 or several other radios, so either those people are hearing the effects of soft-muting or possibly there is some unit-to-unit variability. 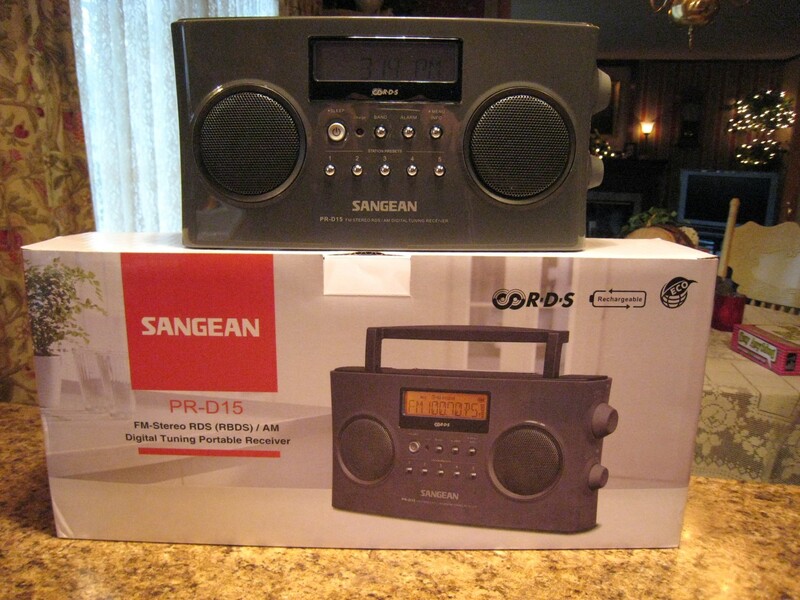 Normally this is not a problem for Sangean products whose quality control is generally exemplary. At the least, I know the PR-D15 SHOULD be sensitive on AM as mine certainly is. The FM section has good sensitivity and selectivity has been somewhat improved. Again, it is not bad, but in my hilltop location where I can receive signals from several states I have other radios which can separate several stations which the Sangean cannot. Overall I would say its FM is very good, and there’s no denying the usefulness of its stereo and RDS capability. But what about the improved audio? I am unfortunately disappointed with the sonic improvements. While many owners have waxed enthusiastic over the bass and treble controls and loudness defeat capability, these changes don’t actually make enough difference to alter the basic character of the PR-D15’s audio which is lacking in both bass and treble…put it next to a wide range radio and the difference will jump out at you. Not that the radio sounds bad on its own…it’s just that many other radios make it sound anemic when you compare them side by side. There seems to be so little bass or treble that the controls can’t help much. The CC-Radio 2E and CC-EP just trounce it for audio quality…I turned the treble all the way to min on the 2E and it began to sound like the PR-D15 with its treble at maximum except the CC-2E still had pounding bass which the Sangean lacks. I then decided to compare the PR-D15’s audio to the CC Radio-EP and again the EP is so much fuller sounding. Here’s an idea of how they compare and if you happen to have a CC-EP try this. Turn the EP’s AM bandwidth switch to Voice, turn the treble to minimum and the bass to about 9 o’clock. That’s the closest I could get it to sounding like the PR-D15 when the 15 had its treble at maximum, bass at +3 and Loudness On. Many owners feel I am being too harsh in describing the sound of this radio but the reason is pretty obvious. If you just listen to the PR-D15 on its own it does not sound bad…in fact, it is quite enjoyable. I like the radio a lot overall. But…and this is a BIG but…put it next to a radio like the CC-EP, CC-2E or a vintage radio like a GE Superadio, and you will immediately hear that the PR-D15 (as the PR-D5 before it), projects almost entirely midrange audio with little bass or treble when compared with those wider range radios. After doing that, it is harder to enjoy the sound of the PR-D15. Conclusion: In spite of this there is a lot to like. The PR-D15 is a good radio and an outstanding AM performer. 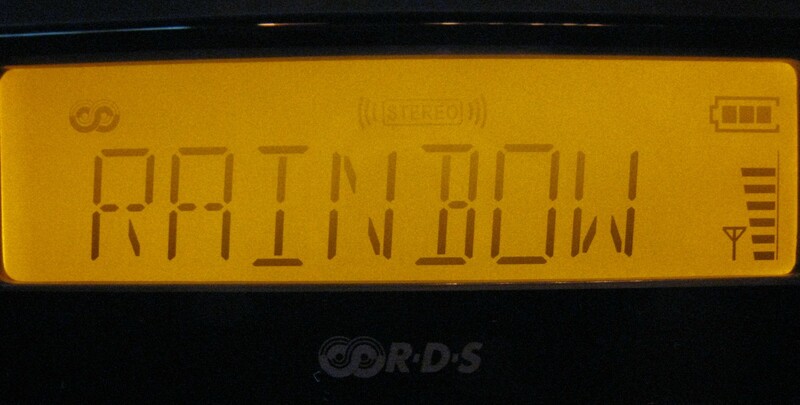 It provides many features including top quality AM reception, Stereo FM with RDS and a host of digital features. 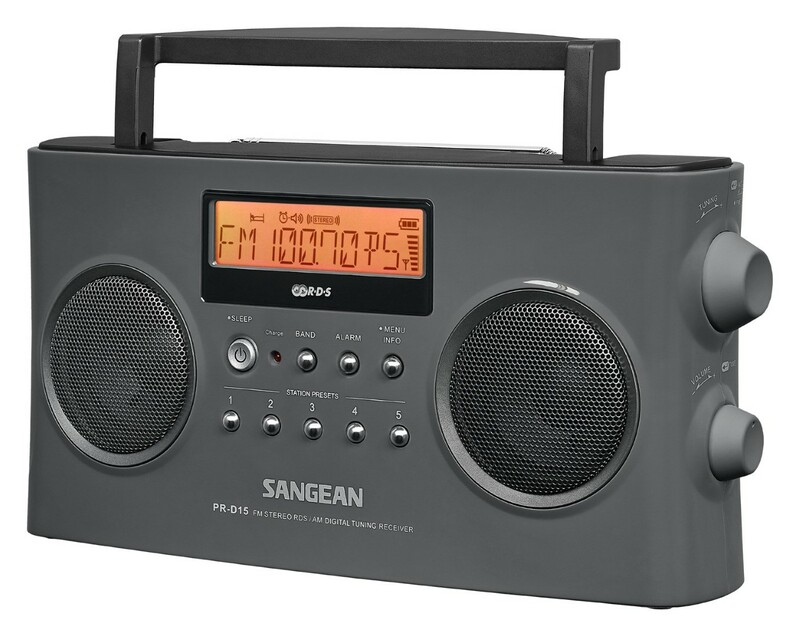 It is a fun radio to use and its smallish size and low price (easily available under $80 as of this writing) make it a good value. If you are not put off by its limited audio bandwidth you can get quite a bit of performance out of the PR-D15. And it’s darned cute!